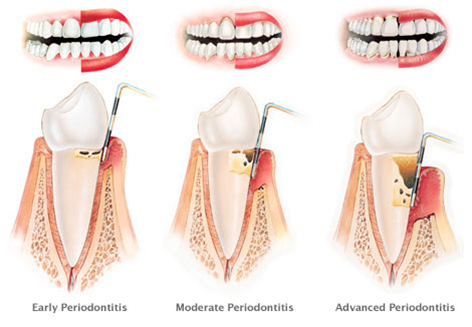 The symptoms of gingivitis and periodontal disease are somewhat non-specific and manifest in the gum tissue as the classic signs of inflammation. Both can be prevented through regular oral hygiene that includes daily brushing and flossing. Hydrogen peroxide, saline, alcohol or chlorhexidine mouth washes may also be employed. In a 2004 clinical study, the beneficial effect of hydrogen peroxide on gingivitis has been highlighted. Electric-powered toothbrushes work better than manual toothbrushes in reducing the disease. The staff and Dr. Caramico are very nice, it’s a pleasure to have an appointment with them. They are very professional and caring at the same time, the best combination to have your ‘mouth’ taken care. I recommend them to anyone, they are the best!! !